I often get asked, “I want to upgrade my factory stereo, where do I start ?” This is a very subjective question. Many people will say the head unit. Let’s expand on this. My basis of a $299.99 head unit is a triple pre-out, time alignment, crossovers, equalizer etc. Roughly $650.00 for total seems fair. For $650.00 what did we really change? Does this change or really make a large impact and add value to the customer? The Match amplifier line by Audiotec Fischer is taking a very different approach to the “upgrade” idea on a factory system. If you could double or triple the power of the system, add true time correction, add custom equalizer curves, and fully adjustable crossover setting to maximize factory speaker sizes and locations. Would this make an impact on the customer experience? The answer is simply – HELL YEAH! You might say, “CanadianCarStereo.com, it’s the same price, why bother?” It’s about making your store and your team look like the mobile electronic professionals that they are. Let’s address the amplifier option and the online stores or cross-shopping within your city. I can buy a Pioneer/Alpine/Kenwood head unit online. I could also purchase most installation parts from various sources online with a little bit of research. You now have online stores and your competitors competing for their business and eroding your profit margins. 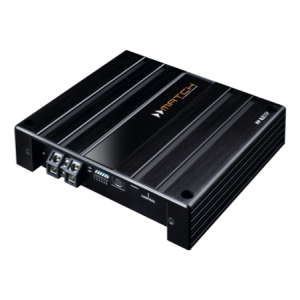 By using the amplifier idea, I believe the customer is getting a better value and your store gets the labour from the installation AND sets up of the amp. Your team of professionals cannot be shopped online and the knowledge of your staff cannot be purchased online or from your competitor.